Let's get straight to the subject. For you wallpaper or screensaver lovers, you are provided with meaningful advice about where to download the 4K Ultra HD wallpapers and screensavers for totally free and how to change 4K wallpapers on your desktop, Android device or iPhone iPad. Can't wait? Let's get it started! Supposing you wanna transfer your collection of 4K Halloween allpaper photos into a slideshow video with self-made music, the feature-rich MacX Video Converter Pro can stand by your side to lend a hand to you. And you can also utilize this video converter software to download 4K UHD video from YouTube and convert 4K video to your desktop, Android, Apple iPhone iPad for playback on 3K/4K/5K high definition display. I must confess that I am sort of obsessed when it comes to download and change wallpapers & screensavers for my desktop. I can't bear that my computer wallpaper is always decorated with the same style wallpaper and motionless screensavers. Thus every two days I would search on Internet and dig out the beautiful 4K free wallpaper and screensaver for my desktop. And just because of this, I have collected some useful tips and tricks on where to find and how to set 4K UHD background wallpapers for desktop. Now it's the high time to share with you guys. Also check out where to free download 2018 FIFA World Cup wallpapers. To begin with, where to get 4K free Halloween wallpaper downloads for desktop or ultra HD dynamic motion theme download for PC? The wallpaper website and 4K wallpaper app I'm used to applying are wall.alphacoders, Mach Desktop 4K and Magic Window 4K. The first one is the optimal choice for Windows users to download 4K free wallpapers, for it contains all types of 4K Halloween wallpapers and screensavers, be it scenery wallpaper with 3840x2160 resolution, 4K super hero wallpaper and 3D wallpaper with fantasy angel. The second 4K wallpaper app for Macintosh is the most innovative 4K dynamic motion wallpaper application and the third one will make your 4K display shine with beautiful slow moving timelapse views for your wallpaper and screen saver. It even offers you with the fabulous 5K Retina Halloween wallpaper for your iMac, MacBook series. Wanna go to the 4K screensaver download site to get live wallpapers download, or resort to free 4K wallpaper app to make the best ultra hd wallpapers downloads for Macintosh? Action now! And if you need the tutorial on how to change free 4K Ultra HD wallpaper, just click here! To download 4K wallpapers for Android, Android phone or tablet users can take advantage of the best Halloween wallpaper app for Android, Premium Wallpapers HD 4K FREE and Wally. The first 4K free wallpaper app for Android offers you over 150000 HD 4K wallpapers for your Android smartphone and tablets, with 25 categories to address your needs, like 4K animal wallpapers, flower 4K screensavers, 4K movie wallpapers, etc. The second 4K UHD wallpaper app for Android Wally is meant to give you a perfectly fluid user flow with subtle animations and bright colors, which is especially suitable for devices with high resolution display like Samsung Galaxy S8 edge+/Note 8, HTC 10, LG G4, Sony Xperia Z5, Surface Pro 4, etc. Here we take Android tablet as an example to show you how to change 4K (live) wallpaper for the Home or lock screen on Android gadgets. Step 1: Long-press any empty part of the Home screen. For a long-press, touch the screen and keep your finger down. A Wallpaper menu will appear. Step 2: Set wallpaper from the Settings app. Choose Display, and then pick out Wallpaper. Step 3: Select to set new 4K (animated) wallpaper for the Home screen or the lock screen. Step 4: Opt for a wallpaper type. Three options are available. Gallery: A still image from the Gallery app. Wallpapers: Choose an image from the wide range preinstalled on the Android tablet. Step 5: Choose the 4K Halloween wallpaper you want from the list. Step 6: Touch "OK" or Set Wallpaper button to confirm your selection. Where to download real 4K UHD wallpapers for iPhone iPad series? Dead easy! Just one practical wallpaper app for iPhone iPad and then the problem is fixed. Which deserves mentioning here? Alright, Wallpaper MX brags itself as 4K UHD Colorful Wallpapers Gallery able to discover, save and collect a wide variety of free Halloween wallpapers for you to download, like 4K anime wallpaper, Holiday 4K wallpaper, 3D animal screensaver, etc. Updated every week, it provides you with the latest fashion 4K wallpapers for iPhone 8/Plus. In the last post, I have already illustrated you about how to change free wallpaper on iPhone. In consequence, it's reasonable to show the guide on how to set iPad's 4K background wallpaper this time. 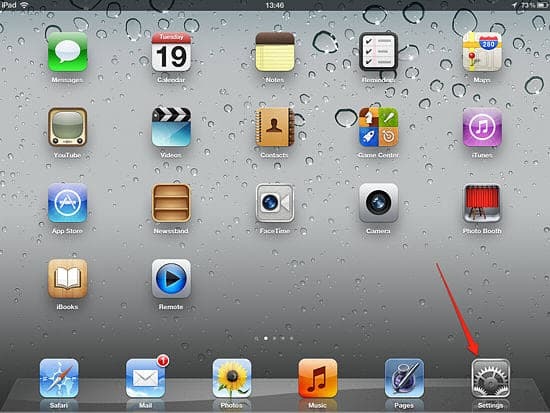 Step 1: Click on the Settings icon and go into the iPad's settings. Step 2: Choose "Brightness & Wallpaper" from the menu on the left side of the settings screen. Step 3: Change your route to Wallpaper settings after finding the giant Wallpaper tab under the brightness settings. Step 4: Two options for you: opt for Wallpaper to get to the default themes supplied by Apple for your iPad or choose Camera Roll to choose any picture you have taken with your iPad. Step 5: Tap the button labeled "Set Lock Screen" to set the 4K UHD Halloween background wallpaper for your lock screen, press "Set Home Screen" to make the photo appear underneath your app icons or select "Set Both" for the 4K wallpaper to be used as the global background for your iPad. 4. How to Make Your Own Wallpaper in 4K 2160p? To take all the condition into consideration, what if some guys are unsatisfied with the ready-made 4K Halloween wallpaper? Alright, in case you really don't like the 4K UHD wallpaper and screensaver on the above sites and app, you can have another way to go-make your own unique wallpaper in 4K UHD resolution. Here below I show you how to create your own 4K Halloween background wallpapers with nary a penny. Step 1: Click the "Create your own wallpaper" button to choose or upload a background. Step 2: Get your favorite Overlay. Step 3: Upload your Photo or Picture. Job is done! As its name suggests, this DIY wallpaper app is designed to let you create your own 4K live wallpaper for your fancy mobile phone. See, Live Wallpaper Maker provides you the power to customize your free 4K wallpaper by wallpaper settings (animated image setting, photo setting) and decorating (adding items cherry blossom, snow, heartshape; adding your own favorite words). YouTube is the essential video sharing site, from which you can dig out scads of 4K movies, videos, MV, TV shows, etc. Chances are that you might be caught by one moment of the 4K YouTube video and wanna transfer the video image to your iPhone iPad as wallpaper background. In such case, you can rely on the world-renowned MacX Video Converter Pro, which not only works well to get YouTube 4K videos download and convert, but also allows you to take snapshots from the 4K YouTube video so as to be your DIY wallpapers.